For Disney Geeks/Fans there's a special treat. “Walt & El Grupo” is premiering at the Festival. It will be screened at 1:15 p.m. Saturday, April 26, at 6 p.m. Monday, April 28 (with an extended Q&A) and at 12:30 p.m. Wednesday, April 30 at the Kabuki Theater in San Francisco. Additional film festival screenings are planned in the weeks and months ahead in Seattle and other cities both stateside and abroad. 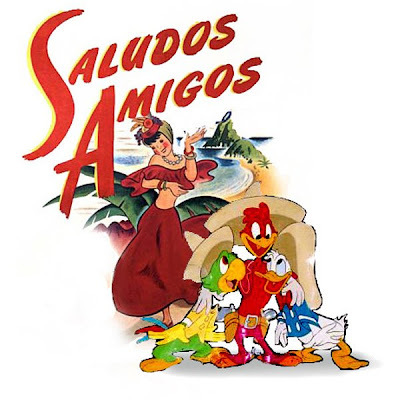 The documentary, directed by Ted Thomas(yes, son of Frank Thomas and director of the wonderful "Frank and Ollie" documentary) follows Walt Disney and Lillian Disney along with sixteen colleagues for 10 weeks in 1941 as they visited several Latin American nations to gather story material for a series of short films with South American themes. Don't forget he also went to South America to get away from the strike at the studio. He got fed up with the drama and left Gunther Lessing and others to solve the strike for him.